In continued support of Spirit, Depeche Mode have unloaded another new video on us. This time it comes for the album track "Cover Me." Like many of the band's videos, this one was directed by longtime creative partner Anton Corbijn. 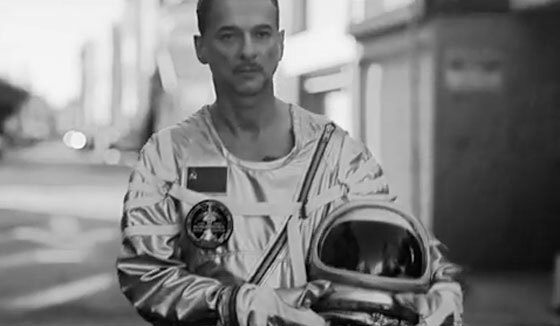 As you'll witness, the entirely black and white clip features a sadsack Dave Gahan, who takes on the role of a seriously depressed looking space explorer. In a statement, Gahan said of the clip, "A big surprise for me was how 'Cover Me' ended up being. I always heard this idea of the song being in two halves. The song is here and then you kind of get in the spaceship and go somewhere else." Along with the new video, "Cover Me" will be treated to a remix EP on October 6 via Columbia Records.